It was cold and clammy against his skin so Joseph Jagger pulled the collar of his fogger tight around his neck, against the acrid yellow haze of an early spring morning and hurried his pace. Back to this stink hole again. How I despise it all sometimes! How could I have been so foolish? I won enough a fortnight ago at the roulette wheel to acquire some sizable holdings and not have to look forward to my pension … but could I walk away with it? Bloody ‘ell no! I had to try to double it, didn’t I? You dolt! Daft, I tell ya, daft! Joseph Jagger grumbled as he entered the shop. The smell of grease and metal burning under grinders and the amalgamated funk of it all that clung to his sweat and never quite left him made him shiver an almost imperceptible shudder of revulsion. So I’m reduced to this, to work… what else is a man good for? The day dragged on and he found himself lost in his toils. 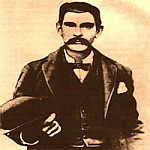 He truly did enjoy the challenge of being a mechanic, though Joseph Jagger thought of himself more as an engineer. This Industrial Revolution really was the new religion. It had done more for progress than a thousand edicts or pontifications ever would. And here he was in the midst of the first great innovation since movable type. He solaced himself in the knowledge that the cotton mills were changing the very economic landscape of the world; redistributing political power, creating new fortunes, strengthening the bulwarks that ensured the sun would never set on the British Empire. A great pulley wheel was before him, spinning. He had machined and made the casings perfectly round – polished to a mirror finish – had chosen and balanced the bearings, lubricated them with the purest grease and graphite and added his secret touch of lithium for testing. But it still oscillated ever so slightly, and within a hundred revolutions, after spinning it by hand, it landed with the same spoke of the wheel down each time. This would not do. It must be perfect. He drilled a small hole at the highest part of the great wheel and another directly below it at the bottom. He hammered a brass shiv into the upper hole and spun it again. Round and round and round it spun. Hypnotized and daydreaming in his fugue, he imagined the black and red of a roulette wheel. It slowed and stopped a quarter of the way around from previously. He spun it again. Another inconsequential stop. YES!!! He spun it again. He had the answer to all his problems; the roulette wheels he had played on must be just slightly imperfect! He spent the next several months preparing, planning for his assault on Monte Carlo. He arranged a holiday, recruited and hired half a dozen clerks from the offices of the Mill, and liquidated what holdings he could easily roll over into money. Joseph Jagger had no doubt that the Roulette Wheels at the Beaux-Arts Casino were not perfect; they had to be imbalanced to some degree, biased toward one side, toward certain numbers. He just had to determine which wheels were vulnerable, and what those numbers were! He sent clerks one at a time to the casino, each having his own wheel to analyze. The clerk would linger in the crowd at the busiest times so as not to be noticed and record the numbers that the ball landed on. Then they would return to Yorkshire and tender their raw data to him. Joseph Jagger would pour over the numbers all night trying to find the bias, sorting the frequencies, looking for the weakness. It wasn’t looking good and he was barely clinging to the hope now. And then the final data from the fourth wheel came in and within two hours a pattern began to emerge. First the 18 and the 19… then 7 and 28… then 22, 29 and 9. 17 and 8. Oh no, this isn’t going to be easy; they are distributed over too much of the wheel. But with the numbers Joseph Jagger had, he could determine about a 13% advantage in his favor, which in Gambling in general is Remarkable! He was disappointed in the results from wheels five and six but he decided he had what he needed. He liquidated everything else he had over the next two years and even considered borrowing money, but thought better of it. 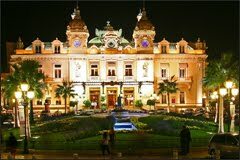 Upon his arrival on July 6, 1875, he was feeling trepidations, but any doubts were easily drowned by his determination to break the bank at Monte Carlo. At the age of 46, his productive years were almost behind him and he wasn’t about to matriculate to a desk upstairs at the Mill or retire early only to wither away in some dank corner of the pub watching the younger men ramble in, then stumble out later. In Joe Jagger’s time, you were born in a place, you grew up working, you settled in, and you died and were buried within a half-days walk of where you were born… sometimes within sight. Stifled and strangled by the thought of it Joseph was buoyed. At the casino, Joseph Jagger mingled in the crowd watching the action and eventually gravitated to the fourth wheel. He watched it spin all night until the casino closed and he kept mental notes that confirmed the conclusion he had reached. He had been bursting at the seams to lay his money down but held out. Always a careful man, Joseph Jagger would sleep on it and let his subconscious mind confirm all he knew to be true. Tomorrow he would be a very rich man indeed!